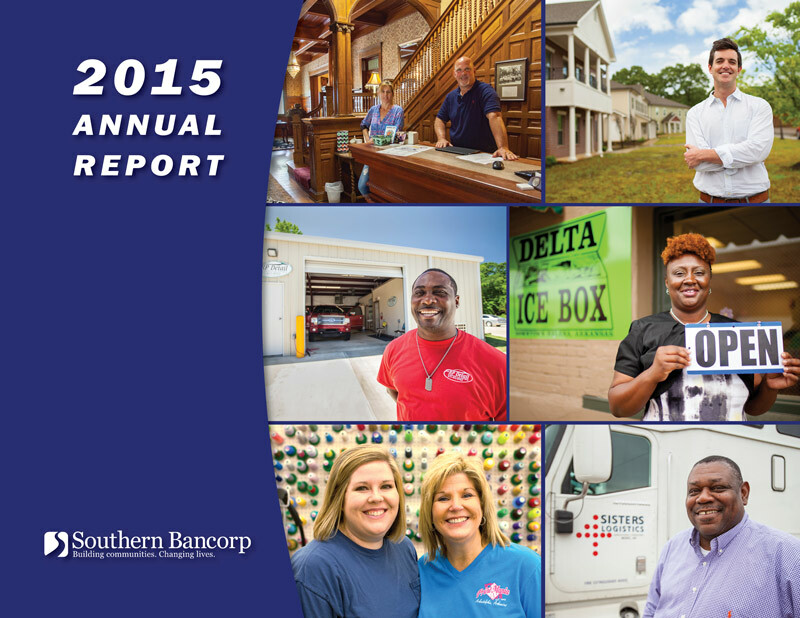 Presenting Southern Bancorp’s 2015 Annual Report. 2015 was a year of impact and innovation for Southern Bancorp, from developing new products and services for underserved and rural markets to growing the number of loans we made to help families buy homes and start businesses. 2015 was also a hallmark of things to come as we look to a future in which Southern’s mission to create economic opportunity is both increased and extended beyond our current markets.